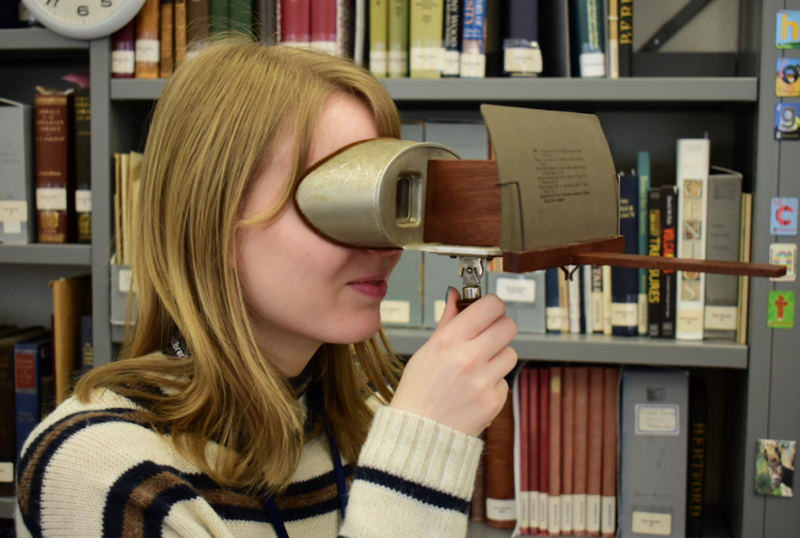 Stereoscopic photography is something that has formed a great deal of our discussion here at Thinking 3D, especially as we focus in on the 19th and early 20th century and the introduction of so many new technologies being exploited by book illustrators. However, compared to the amount of photography used to illustrate books since the 1840s, stereograms were rarely used in book form. 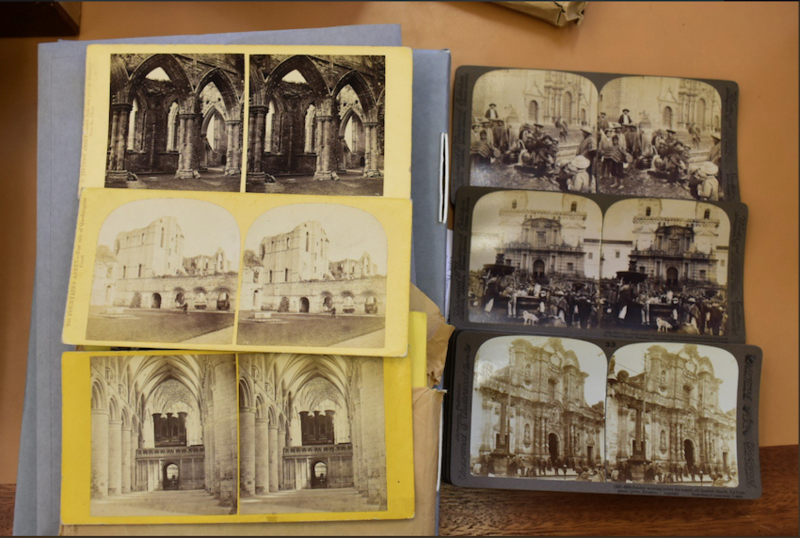 Recently uncovered Stereoscope cards found by Bodleian Library interns on Twitter. Stereograms were wildly popular by the mid-19th century, the life-blood of many studio photographers who would also sell single stereo-views mounted on cards of the towns they lived and worked in (for example, Spiers & Son of Oxford or the London Stereoscope and Photographic Company) in order to make a quick profit. But only a handful of 19th century books actually implemented the technique for illustrative purposes. 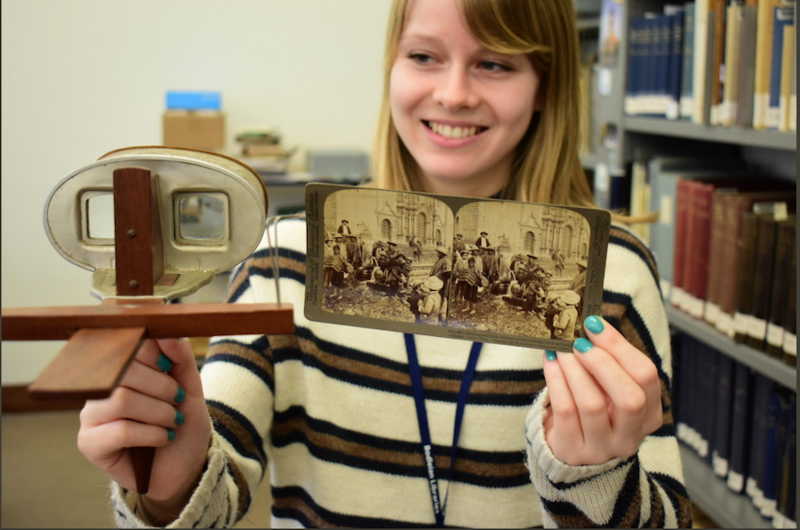 Fast-forward, then, to the 21st century, when the London Stereoscopic Company has been doing fine work in reintroducing the marvel of stereographic photography to the modern connoisseur. 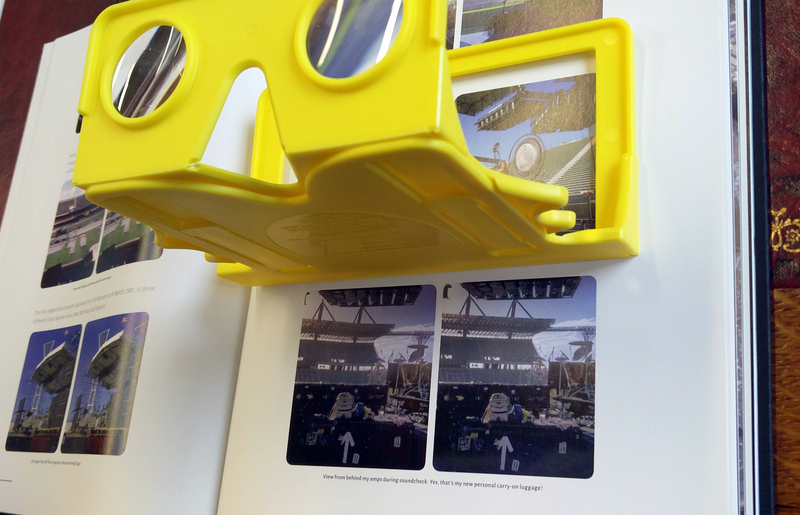 In 2008, the London Stereoscope and Photographic Company was resurrected by Brian May (yes, that Brian May) and Elena Vidal in order to provide and online presence and research tool for all things stereoscopic but especially the work of T.R. Williams. This endeavour resulted in the first publication of the newly founded London Stereoscopic Company, A Village Lost and Found, and then rolled into several other stereographic publications which have brought fun, and at times fantastic, stereograms back to the fore. 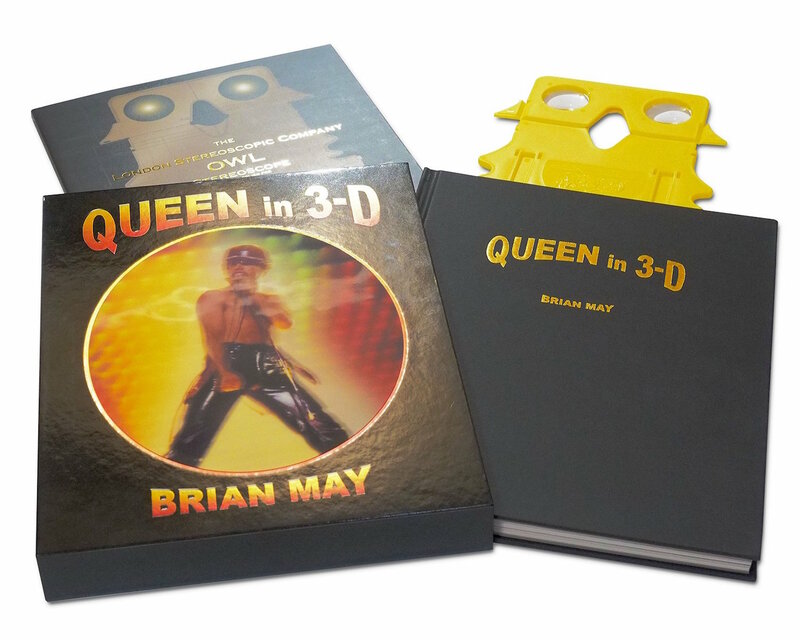 Queen in 3-D by Brian May (London: London Stereoscopic Company, 2017). However, like everything else Queen, in 2017 Queen in 3-D arrived like a thunderbolt and has opened up the doors to the possibilities of what illustrating a modern text with modern stereograms could actually feel like. And who better to write about Queen and about stereoscopes than Brian May – one of the world’s finest enthusiasts and collectors of stereograms and, well, THE GUITARIST for Queen. 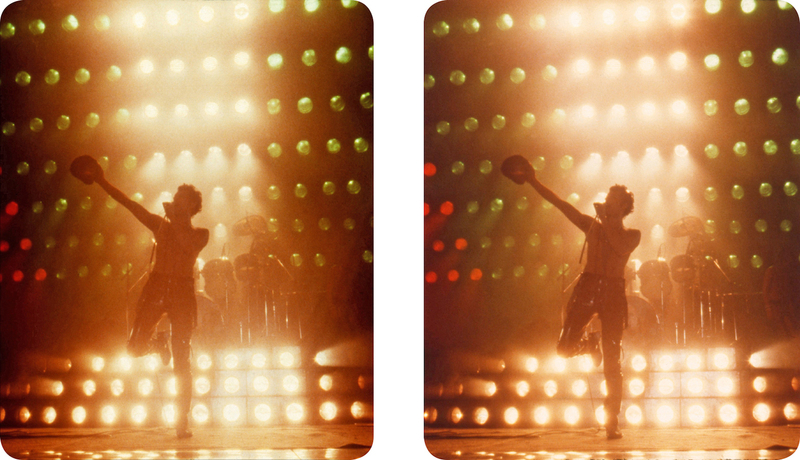 A two-page layout from Queen in 3-D showing the OWL viewer in action. Freddie Mercury captured in stereogram, from Queen in 3-D.
Brian’s work on Queen in 3-D is unfiltered, unedited, and reads like a long-form conversation with a friend about his life with photography, his passion for taking and collecting stereoscopic photos (and gear! ), and a personal memoir on his ‘Queen adventure’. 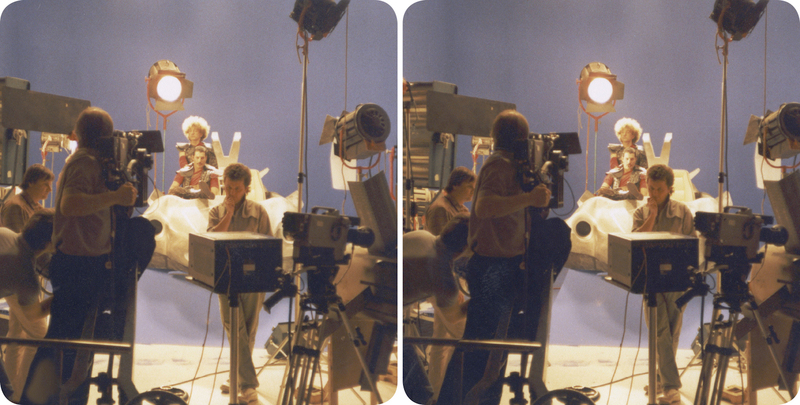 Behind the scenes, from Brian’s stereo-perspective, from Queen in 3-D.
Caption: The OWL viewer used on Queen in 3-D. The book is issued with a patent OWL viewer, standard issue with the rest of the London Stereoscopic Company’s books, which, quite ingeniously, can be used as a viewer for the stereograms reproduced in this book, or for single-card stereoscopic views, and the photographs are almost entirely drawn from May’s personal collection and represent the largest publication of Queen behind-the-scenes photographs ever. The effect, then, is a 3D revisit of a life on the road with one of the 20th century’s greatest rock bands: performances, soundchecks, partying, quiet moments on the road, fans and dignitaries – all of it is on display and in glorious stereoscopic format. My favourite images in this book are the glimpse of Brian the photographer. The moments captured while waiting in the wings for a big concert, or a video shoot, or messing about in the studio where Brian clearly has his Stereo Realist to-hand and snaps a fleeting moment. 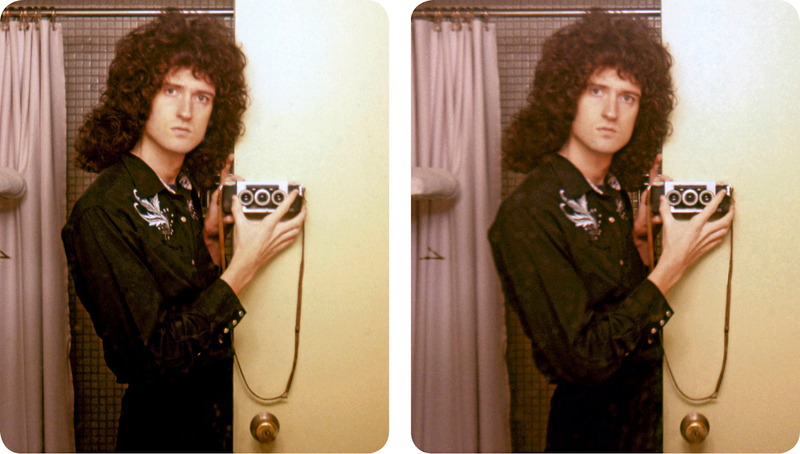 A stereo-selfie by/of Brian May, from Queen in 3-D.
Brian’s personal history of being a photo-geek and shutterbug is inextricably tied to the amazing life he has lived. Unlike many people, his hobby and passion is something that he has been able to carry with him his entire life, and what a life! 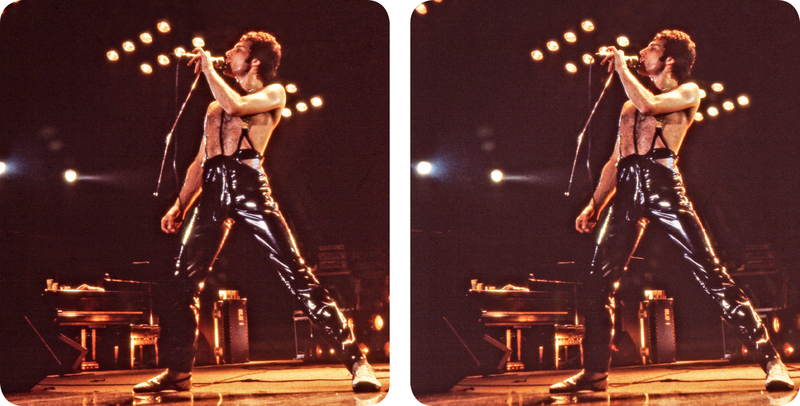 Touring the world, meeting with innumerable amazing individuals, working with artists from all walks of life, and, well, being part of Queen and all that that has brought with it informs Queen in 3-D and really brings home the personal importance of stereo-photography and the place it has had in Brian’s life. 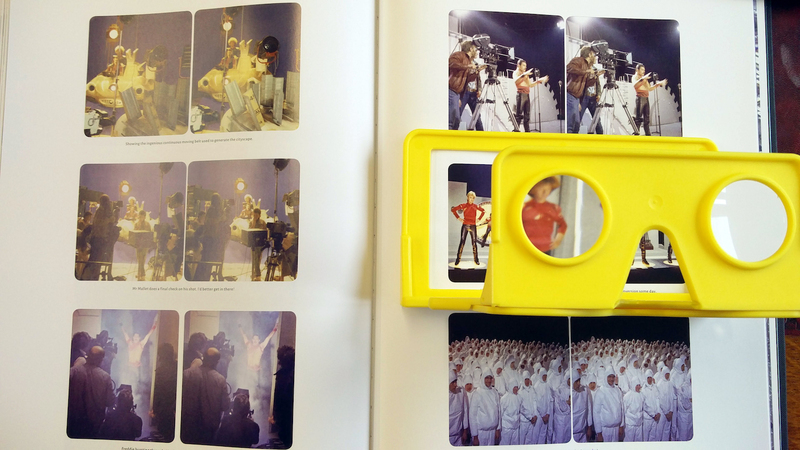 Queen in 3-D is as much a triumph in showing how perfectly stereo-photography can work as an illustrative method of books as it is a personal memoir of a life-long passion and a life well-lived. A View-Master from the 1960s and accompanying View-Master reel which commercialised stereoscopic images for a new generation. As a personal coda, unknowingly, I, like many people my age, also grew up with stereoscopy. View-Masters were ubiquitous growing up in the Midwest, everyone had them and everyone had a different collection of View-Master reels. Cartoons, views of far-away places, snippets from recent films, etc. were always traded around groups of my friends. I guess, like Brian and his Weetabix viewers from his childhood (see his introduction! 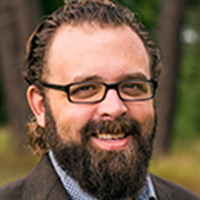 ), and now the new craze in modern virtual reality headsets, the wonder of how to capture and re-present the three-dimensional world around us is something that grabs the imagination at an early age. In Brian May’s case, he never let go of that wonder, and Queen in 3-D is proof of just how far a hobbyist, enthusiast, and a collector can go in communicating a technology that hasn’t really changed in the last 150 years.